ID&T and Live Nation recently announced that the Saturday, October 27th edition of Sensation USA 2012, presented by Bud Light Platinum, is completely sold out. A limited number of tickets to the Friday night October 26th event are still available. After successfully producing more than 70 Sensation events for millions of visitors in more than 20 countries since 2000, Sensation USA 2012 marks Netherlands based ID&T’s first event in the United States. After months of speculation and buzz, we revealed last week that Sensation USA would take place at Brooklyn’s brand new Barclay’s Center on October 26th & 27th. With the 27th selling out in under two hours, we think it’s safe to say that US dance fans have embraced the first event! Tickets for the Friday, October 26th event are available through sensation.com, www.ticketmaster.com, charge by phone at (US) 800.745.3000 and select Ticketmaster outlets. 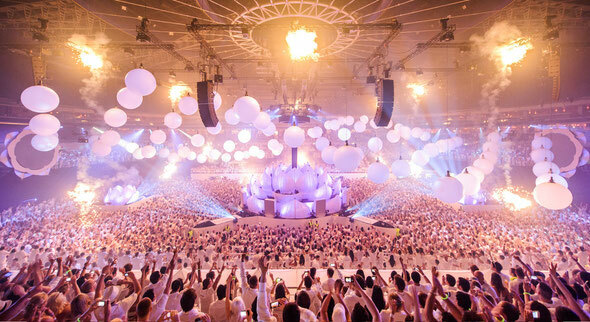 Sensation also offers travel packages for those who want to combine a Sensation night with a weekend in NYC. The packages include of one or more overnight stays in a hotel, a regular or deluxe ticket and a transfer to and from the venue. The packages are now available at sensation.com.